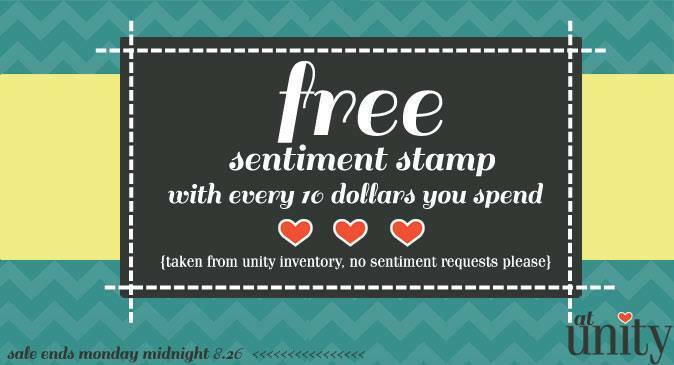 This weekend at Unity is PACKED with fun, including an AMAZING end of summer SALE and ADORABLE new releases! Isn't that little ghost the CUTEST? And these bottle caps are SO cool! Click HERE to check out the clearance!! Alright sweet friends, I am the CABOOSE to this crafty train, so if you haven't yet be sure to hop on over to the Unity Blog! Congrats. Great card! Love the way you highlighted the ghost. and how fun to be guest designing with everyone at Unity. congrats to you! Darling card!! You had me at kraft! I love that you put GA all over the ghost! Super cute!! Love the shiny ghost! Great work. That is a 'spook'tacular card! I've loved seeing your creations as a guest designer! Great Card! You are all so CRAFTY!!! Very cute! 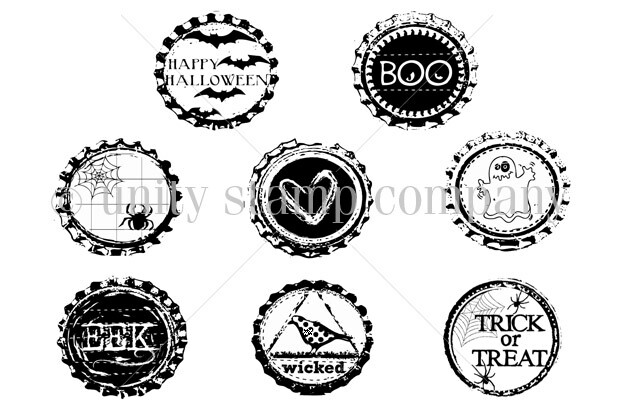 I like the bottle cap stamps as the background. Very cute card! I love the glossy accents! You have been rockin' the guest spot, and it sounds like it might become permanent. Eek, I'd be jumping up and down with glee. So deserved! Great card. I like the colors you used. 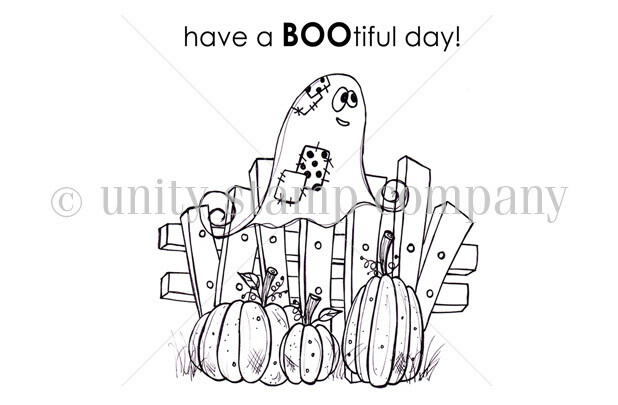 The Boo-ti-ful stamps. I can see it making its way onto my Halloween cards. Love the bottle caps too. What a cute Halloween card! Like how you used both sets on your card. Cute. I like how you stamped it on kraft! Gorgeous colors. Omg I would be so excited if you stayed your work with unity has been amazing!!! Like Angela said you have fit right in to our little family!!! Soooo cute!!! I'm ready for October!!! The bottle caps look awesome on your background, TFS! You pulled it all together beautifully! Hope to see more of your work in the future - maybe on a regular basis??? I just love blog hops when I have the time to go see it all! Ooh! i love the color combo. OMG!!! Those little bottle cap creations are AMAZING!! And what a sweet card creation!! The ghost IS the cutest and the bottle caps are very cool! Love the card you created with both stamp sets that are now on my wish list!!!! The colors are awesome and the bottle caps around that super cute ghost are just too cool! What a great card, I really love the stamp, too. TARJETA PRECIOSA LOS SELLOS ESTAN INCREIBLES!!!! What a super cute card!! 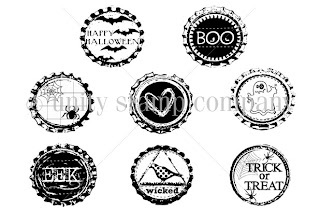 I just love the bottle caps and that adorable ghost..
Love these stamps! The colors you used are great. Fun card. Beautiful! Love the adorable ghost too! 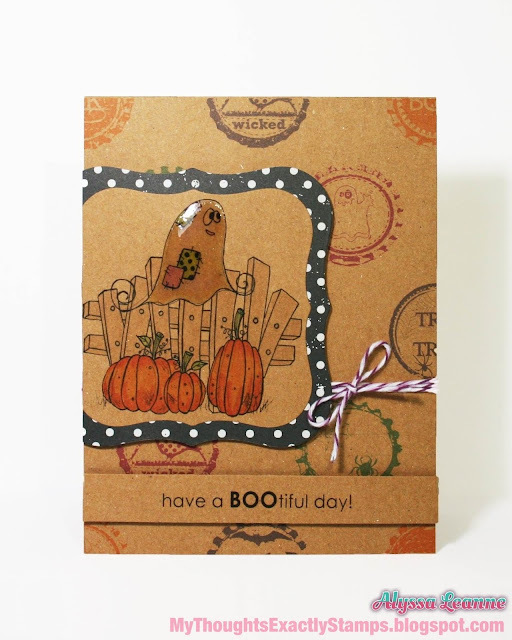 Alyssa, really like how you used the Unity stamps for the background and the front of the card! Great job! 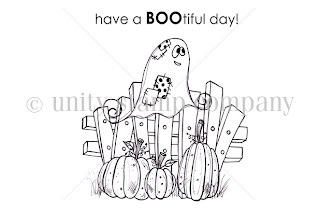 May you have a BOOtiful day too. Card is way too cute.